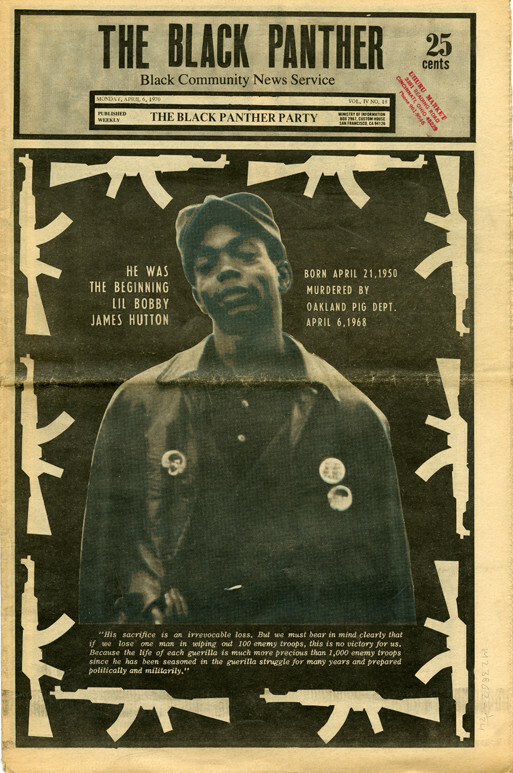 Following a shootout between the Oakland Police Department and the Black Panthers, “Lil” Bobby James Hutton, the organization’s treasurer, was shot and killed as he surrendered unarmed. This graphic account of the shooting represents an early call against law enforcement’s excessive use of force in black communities – a stark and timely reminder of the work that remains to be done. In other issues, the Black Panthers call for greater community oversight into police practices. A fragile survival, this newspaper is part of a growing collection of Black Panthers ephemera at Houghton that bear witness to its broader social service mission.